There are several postnatal complications that are good to know in order to handle them easily in case they occur. 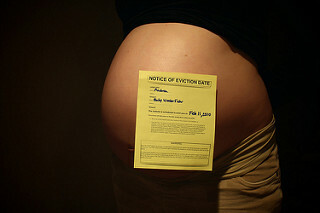 Nowadays, pregnancies generally end without complications. Labor can be vaginal or by Cesarean section, but the recovery can be followed with several postpartum complications. But, fortunately these complications rarely occur. Common postnatal complication is heavy bleeding. Heavy bleeding or hemorrhage is extreme blood loss after childbirth. Postpartum heavy bleeding can occur due to several factors. These factors include extended and complicated delivery, fragments of placenta that stayed attached to the uterus, laceration of the uterus, over distended uterus that is result of multiple gestations or a large fetus, and uterine fibroids that prevent uterus to properly contract. Rarely, reason for postpartum hemorrhaging can be genetic bleeding disorder. In case that hemorrhage occurs as a result of over distended uterus, or uterus that doesn’t contract after complicated and prolonged delivery, abdomen should be palpated to determine the size and position of the uterus. After that uterine massage should be administered. The mother should position feet above heart and receive oxygen, as well as some medications. Breastfeeding is recommended by pediatrics since it promotes contractions of the uterus and can aid in restoring of the uterus to its original size. Rather common postpartum complication, endometrisis, represents uterine lining infection. Endometrisis takes place when placenta separates from the uterus which than becomes susceptible to infections or if parts of placenta remain inside the uterus. To prevent endometrisis doctor must examine placenta to see if it is in one piece. This examination is done to prevent hemorrhaging as well. Symptoms of endometrisis involve increased body temperature, abdominal pain and foul-smelling lochia. Treatment consists of antibiotics. Infection of episiotomy (perineal tear) site is the one that can be easily prevented with proper hygiene. Symptoms of episiotomy site infections include wound tenderness and pain, abdominal pain, edema, problems with urination, high body temperature and wound discharge. Treatment includes antibiotics. To prevent this type of infection, regularly wash your perineal area, especially after using toilet. Change sanitary pad every four hours and avoid using tampons. All in all, recovery after giving birth takes time. You must rest, eat healthy and drink sufficient amount of fluids. It is normal to feel uterine cramps, because it is returning to its original size, but in case of persistent abdominal pain and fever you must immediately consult your doctor. Also, in case that vaginal discharge or lochia, remain heavy and persistent 4 weeks after delivery you should turn to your doctor. How long would it take uterus to heal?